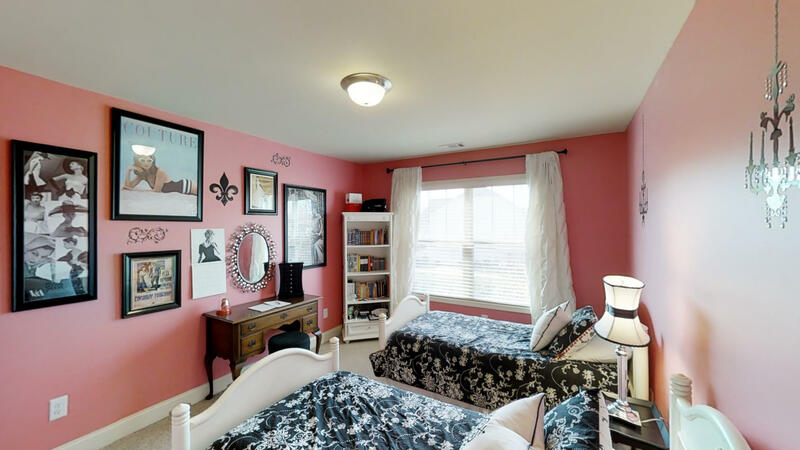 Wow, IMMACULATE home with LOADS OF ROOM for your family in the popular Creekwood neighborhood. 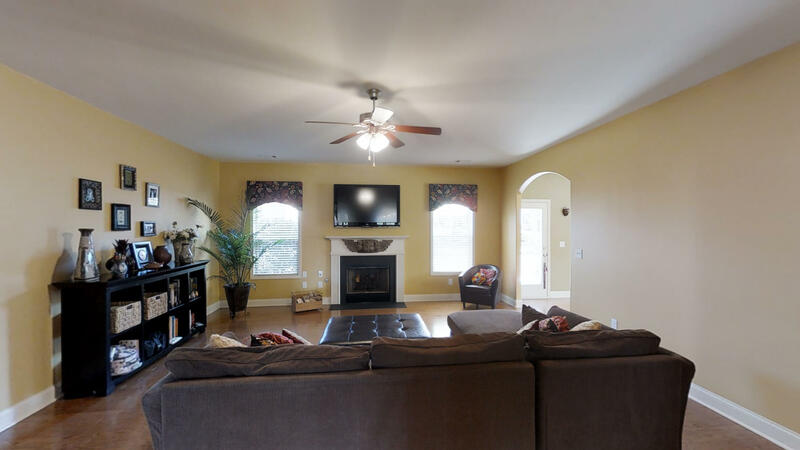 This beautiful home is large and has 4 FULL BATHROOMS to go with 5 bedrooms, plus one large BEDROOM ON MAIN floor which works great for guests, teens, or IN-LAWS – lot is level with only one small step up into house. 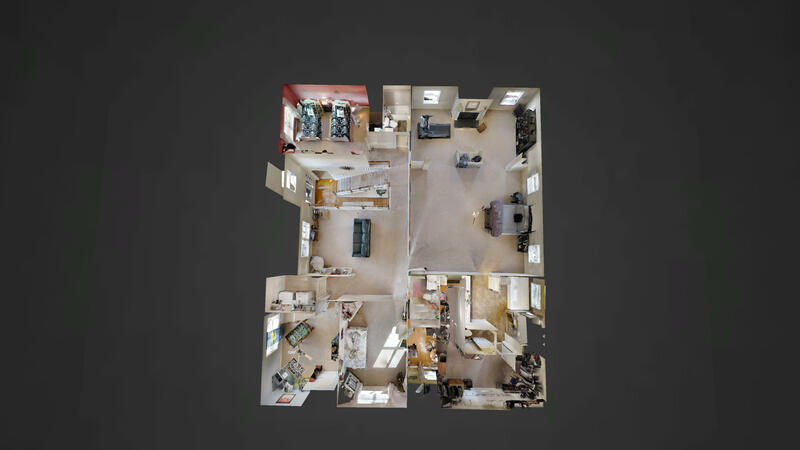 You will be amazed at the VARIETY OF LIVING SPACES – KEEPING ROOM with fireplace off the kitchen will be a favorite daily hangout; huge GREAT ROOM with wood burning fireplace; Music Room / library; and a large LOFT upstairs. 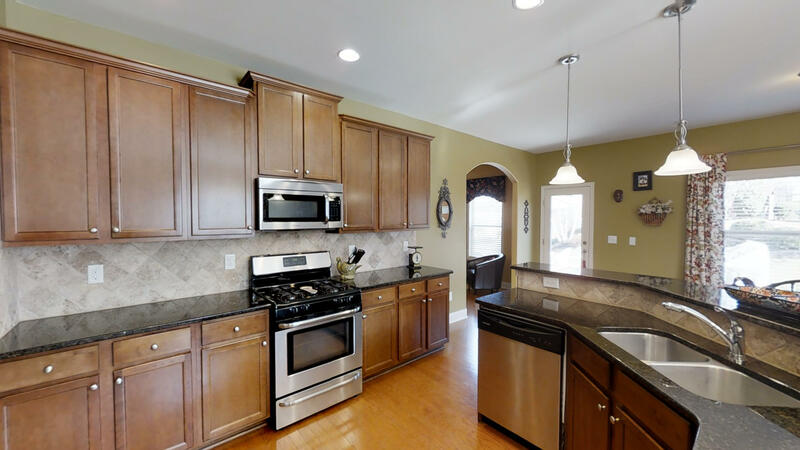 A large kitchen with wrap around seating bar features nice pendant lighting, STAINLESS STEEL appliances, tile BACKSPLASH, GAS RANGE, walk-in pantry and opens to a nice keeping area plus breakfast space – you will enjoy spending plenty of time here. 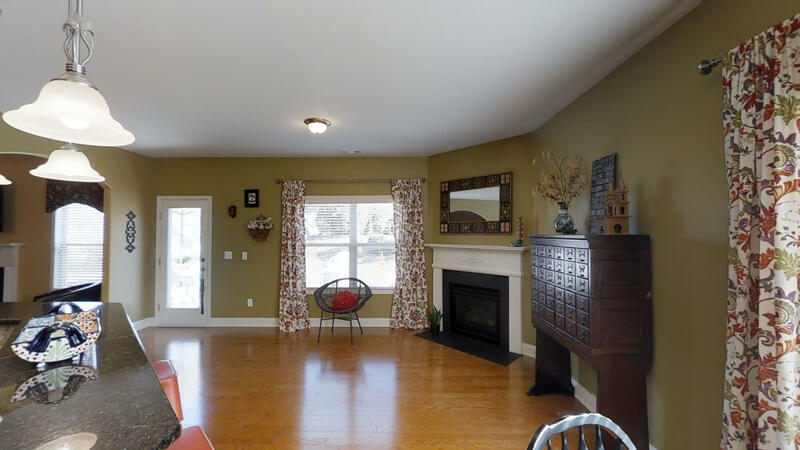 The great room is really huge for your bigger gatherings, and has a WOOD BURNING FIREPLACE with gas starter. 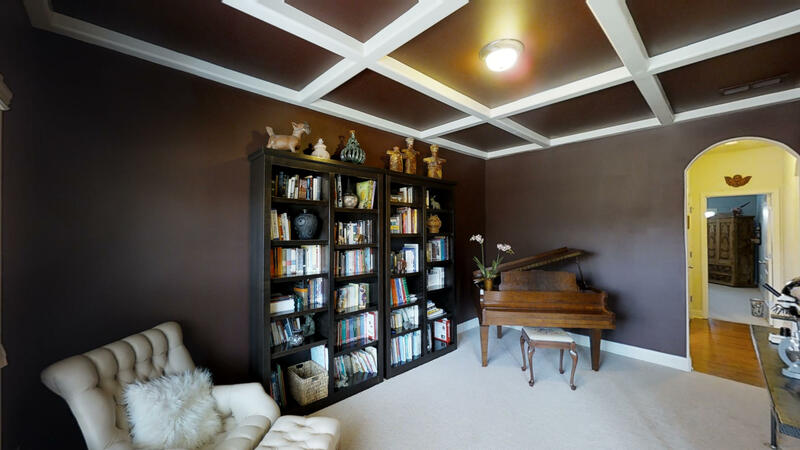 Check out the office with COFFERED CEILING off the foyer - custom warm colors make this room very comfortable and is now used as the music room. 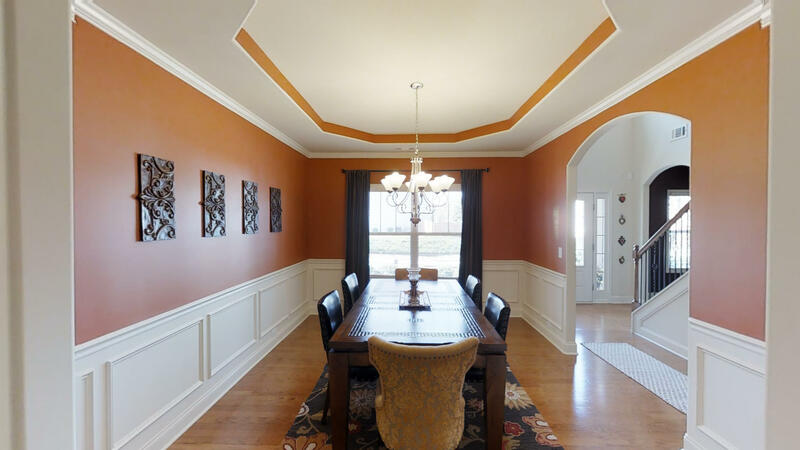 A large dining room with trey ceiling and upscale trim is very inviting – will fit a large table and lots of guests. HARDWOODS run through most of the downstairs, giving it a warm and elegant look, and the 9- FOOT CEILINGS feels spacious. 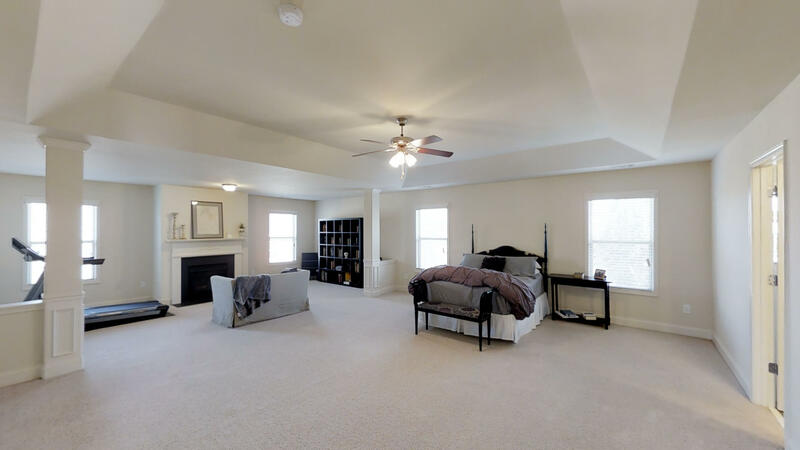 Upstairs – let the bedrooms and storage space begin - notice the SUPER LARGE CLOSETS that provide lots of extra space, plus additional FLOORING IN THE ATTIC. But what a master bedroom with SITTING AREA! This private oasis is huge, complete with a sizeable sitting area and gas log fireplace – get away from the kids and tuck yourselves in here. A custom tile shower with glass walls accent this large master bath and you might get lost in the WRAP AROUND MASTER CLOSET that just seems endless. 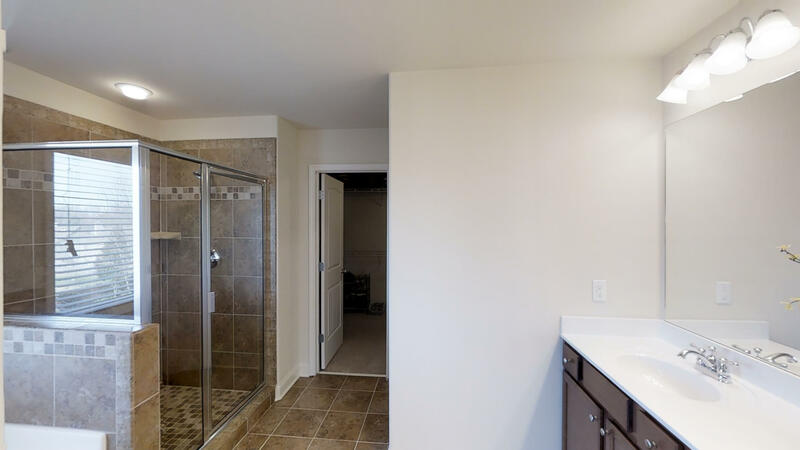 All bathrooms have CERAMIC TILE FLOORING and the carpet has been maintained meticulously – looks brand new. 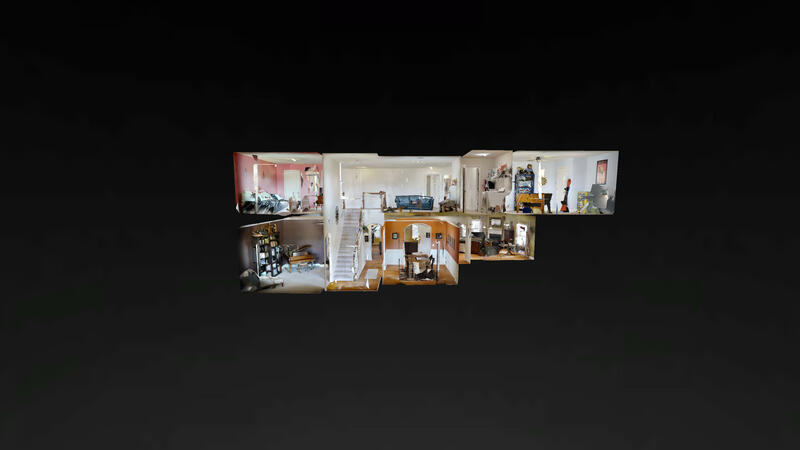 Check out the large LOFT upstairs – you could fit a pool table here or a couch and TV – feels open with the 2 story foyer next door and the metal balusters along the stairs are a nice touch. 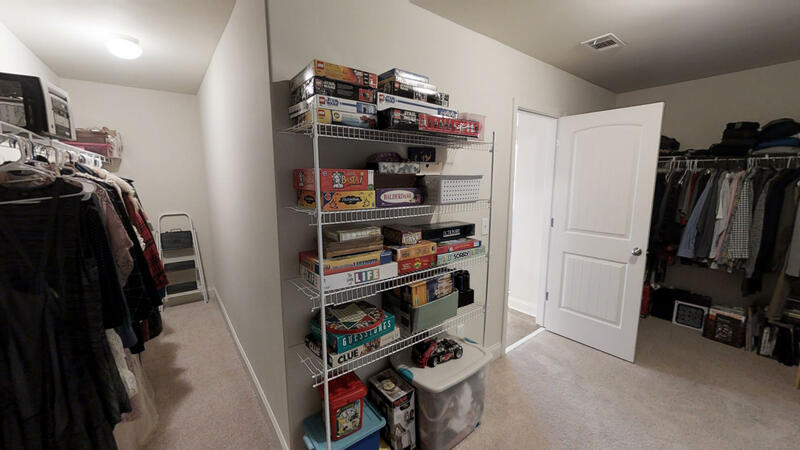 Garage has even more custom storage. 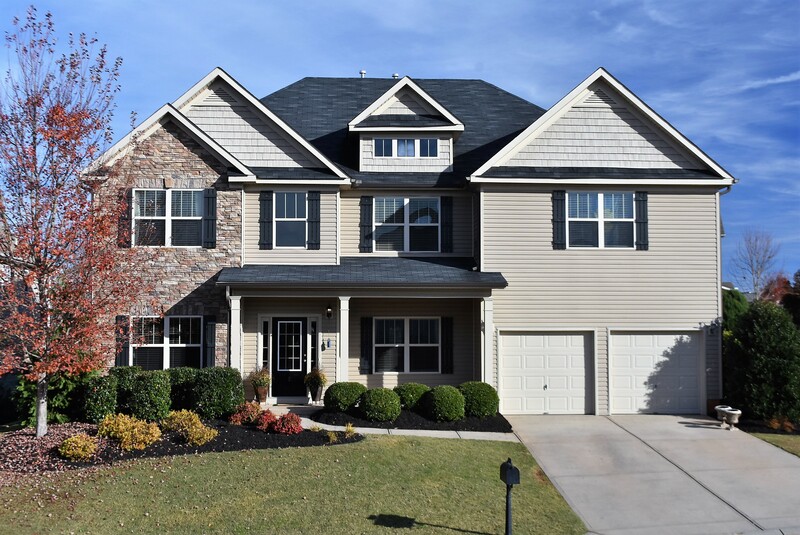 Step off the keeping room to an OVERSIZE PATIO and private backyard, complete with plenty of established landscaping, 7-zone IRRIGATION SYSTEM, and detailed mulched beds. Underground drains take downspout water well away from the house - just a standard thought for these owners that have really taken care of the yard and home. The patio gets afternoon shade, so hanging out here after work is perfect. Creekwood is a great community with clubhouse, LAZY RIVER, PLAYGROUND, open grass space and some walking trails. 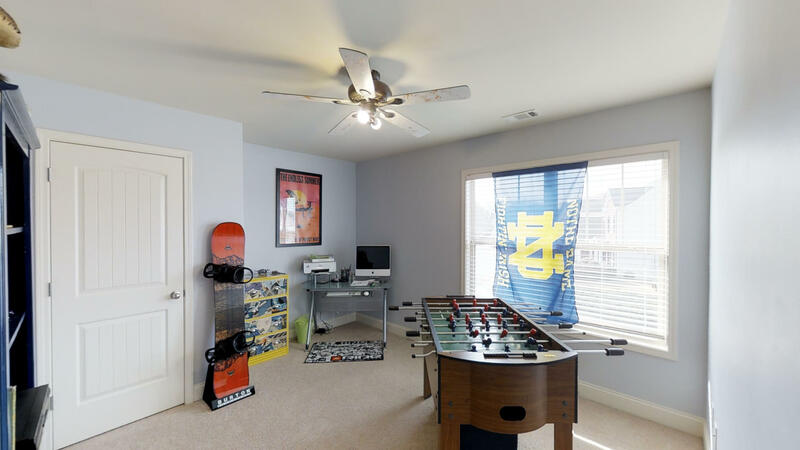 Located close to shopping in Five Forks, you have everything you need as well as good schools. 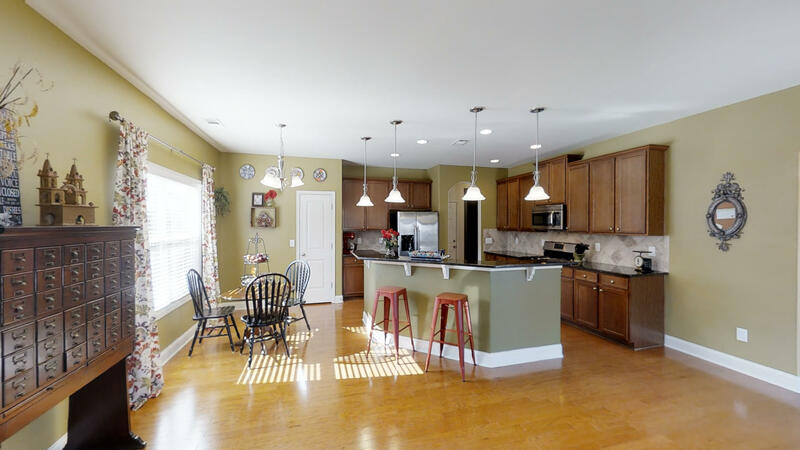 This fantastic home is a great value with so much space!